As an artist, you put hours of work into one goal: getting it right. 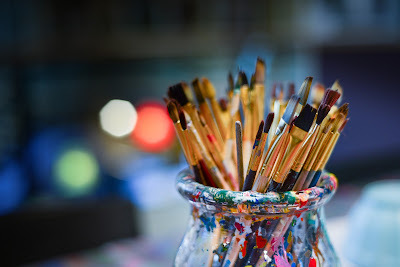 You aren’t completely satisfied until the brushstrokes on the canvas or the images from your camera match the vision of your mind’s eye. 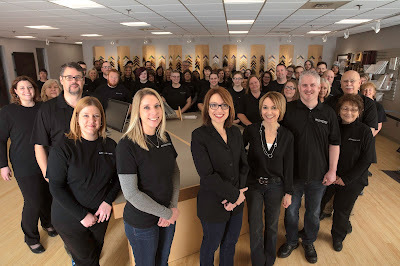 From our beginnings in 1973, we’ve had one underlying belief: that precision production, great customer communication and operating at scale can significantly drive down the cost of framing. 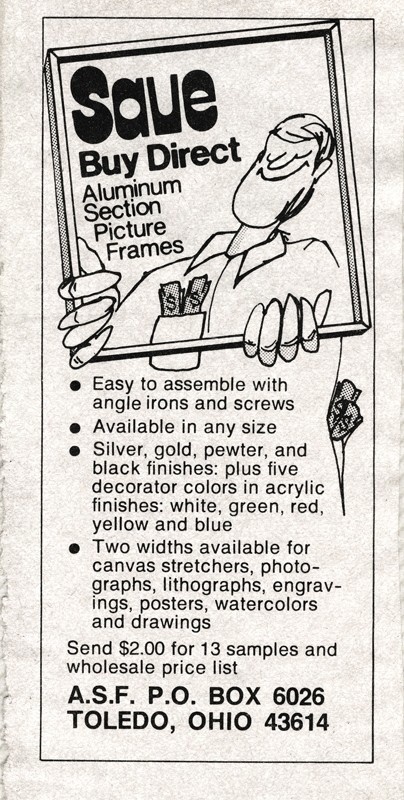 That allows you and artists everywhere to frame more for less. In the early 1980s, we moved from a series of small locations to our current location in Maumee, Ohio. We then changed our name from ASF Sales (Aluminum Section Frame) to American Frame. By1991, founder Ron Mickel’s daughters, Laura Jajko and Dana Dunbar, had joined the team full-time. 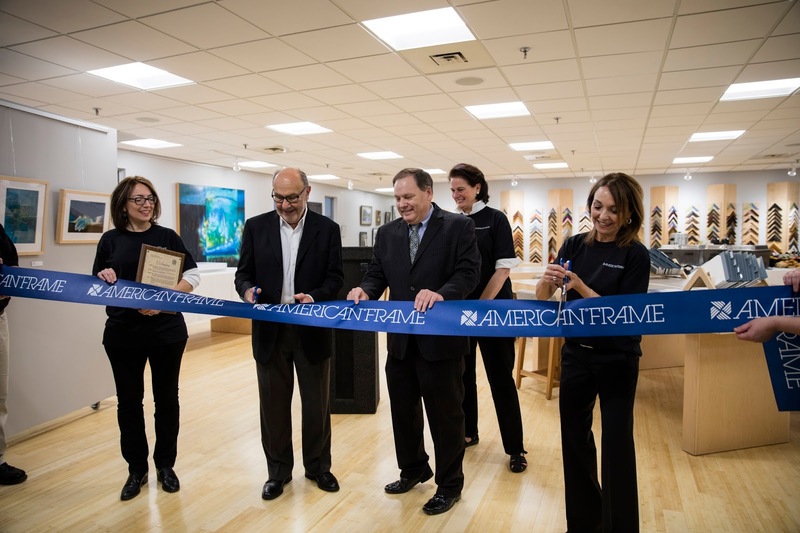 Ron retired in 2017, but Laura and Dana remain second-generation leaders today, making American Frame a 100% woman-owned business. Read more about our history here. And we kept evolving, adding print-and-frame in 2003, and then professional photography services, an easy proQuickShop™ for fast ordering, and an online design workflow so people of any skill level can create the perfect framing treatment for their art. 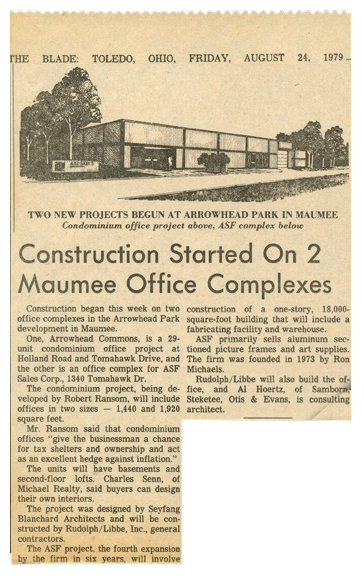 Long before companies everywhere were touting their environmental consciousness, we developed several green initiatives. 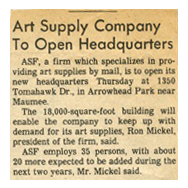 Then, in 2015, we took our desire to help artists even further, opening a showroom and meeting space with hands-on classes, artist lectures, gallery shows, on-site order fulfillment, and much more. We keep listening to our customers and adapting to their needs. The result? 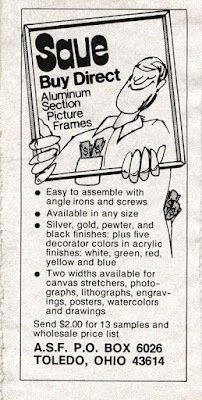 Four-and-a-half decades of success and countless happy custom framers served. 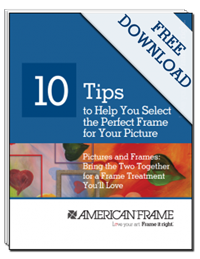 Thank you for being part of the American Frame community. Here’s to many more years of getting it right. Congrats on such a successful company!